Coastal salt marshes and coastal salt pans! There I was with Nancy and John on the beautiful Georgia coast, in Shellman Bluff, then at Brunswick, and later to Jekyll Island. Shooting butterflies, gently aided by extraordinary butterfly spotters. Our conversations brought mentions of their field work in North America and Central America. Panama, who can imagine seeking the birds of Panama? My primary objective on this 4-day trip? Eastern Pygmy-Blue butterflies. The smallest butterfly in the United States. I am pleased to share this dorsal view of an Eastern Pygmy-Blue. My captures of ventral looks will be shared, but it’s this one that most pleases me. As with that other tiny recently shared, the Little Metalmark butterfly, photographing this Eastern Pygmy Blue required that I got down, down and further down. Their hostplants are diminutive, and the flowers that they visit are tiny themselves and on tiny plants. I will never forget these little sweeties. Earnest to shoot them on Jekyll Island, I forgot. Forgot that the south harbors ticks, ticks that are vectors for Bad Diseases. I saw a beaut, and quickly got down to the ground, laying my body down. I shot away, Pop! pop! Pop! We all had a Super! day that day, and hours later, back in Shelllman Bluff, I prepared to shower, and There It Was!!! A tick adhered to my upper chest. John used forceps to carefully remove it . . . and Yes, a large red circle developed, quickly! Consensus was to watch that Ugly red blotch, and wait. I did. Returned to Eatonton. Almost a week later, no fever (Thank G-d! ), no other signs of . . . Lyme Disease. But it was till a Red Circle, size of the c and forefinger make together. Went to an Urgent Care facility in Eatonton, and the PA took blood, examined me, and shared that she thought I was lucky, and did not contract that dreaded disease. Time has gone by since then, and no sign of a problem. Y’all think photographing lions and elephants and grizzlies is risky, then try shooting Eastern Pygmy-Blue butterflies. Urgent Care visits and ansy waiting for something bad. I like this image, especially those orange-tipped antennae, and that comely yellow-brown color. Fun, friends and angst, shooting the tiniest of them all. 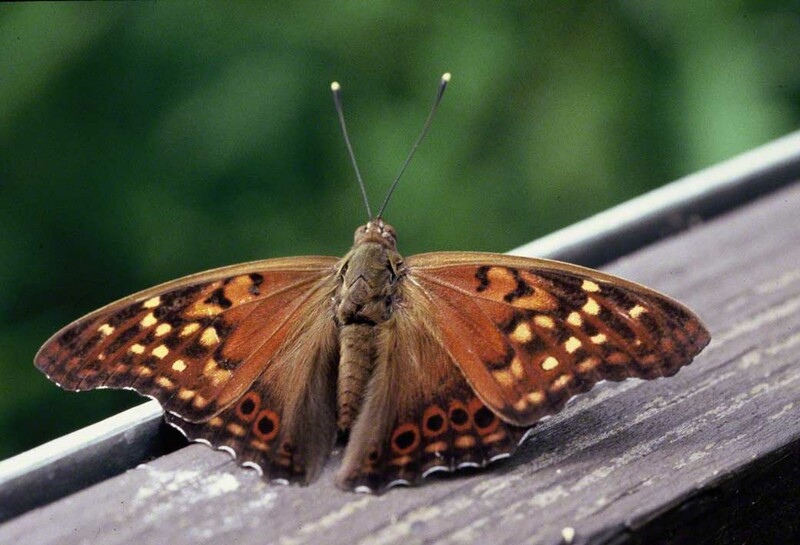 Where To Go To See SouthEastern Butterflies? There was a dearth of butterflies in the U.S. northeast, this 2016. It began, puzzled many, and never ended. Species of butterflies usually seen, never appeared. Finding a single flier of many butterflies species became, well, exciting! This absence of butterflies concerns (scares!) those of us who look for, and seek them. I made 3 trips down to Georgia in ’16. My destination? The Butterflies & Blooms In The Briar Patch Habitat in central Georgia, a little more than an hour east of Atlanta. Eatonton is a county seat, Putnam County. It’s a very hospitable town, with very friendly people in it. I’ve made 7, 7 trips to the Habitat in 2015 and 2016. The warmth, friendliness and welcoming you receive is Real and so pleasing. So when you take my advice and go there, you will see legions of butterflies, flying morning and afternoon, and flying in OMG! plenty. If the founder of this Miracle! (who worked with her volunteers, tirelessly, for several years now), Virginia Linch get winds that you are going to visit the Habitat, she will make sure to give you the above reception (‘warm, friendly, welcoming’). But to the point, it’s almost always sunny, and the thousands of hostplants and nectar-producing plants insure that your head will be aswirl with flying butterflies. If you’re not already living in the South, many butterflies will be new to you. (Also the home of the childrens’ books including the Briar Rabbit series & the writer of The Color Purple). Footnote: The tremendously popular Lake Oconee is nearby, and has been a beacon for 2nd homeowners from the northeast and the midwest. Know that thousands, many thousands of folks from your home state own nearby. You’ll see them in the Publix parking lot, and you’ll see their license plates here, there and everywhere. Totally citizen formed, nurtured, planted, maintained, loved and, well without any PR or advertising. Go. Go. And let me know when you do.